The Golden Compass Sport GP605 comes standard with the new Dynamic Linx controller! The Dynamic Linx provides a better ride experience using Dynamic’s patented Dynamic Load Compensation technology. 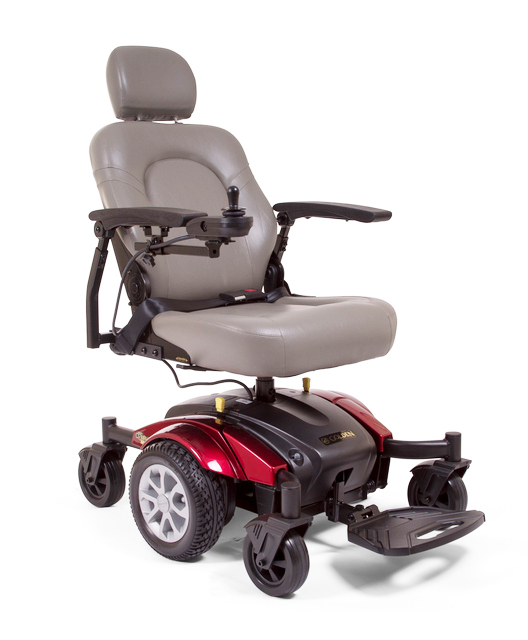 Dynamic Load Compensation allows the electronics to control the speed of the motors so the chair behaves the way the client expects, making driving simpler and a more natural experience. This unique technology also makes the ride independent of the terrain or environment by continuously making small adjustments depending on the driving conditions, such as hills, speed and rider weight.